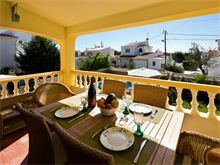 This very well equipped villa is perfect for couples and small families and with a choice of restaurants and bars, together with a small mini-market all within walking distance, it is ideal for those who do not want to rely on using their car everyday while on holiday. The owners have thoughtfully styled Casa Shallo to make excellent use of the space inside and out, with a modern well equipped kitchen, comfortable lounge with covered terrace balcony and a delightful barbecue area with covered dining terrace overlooking the gated pool area. 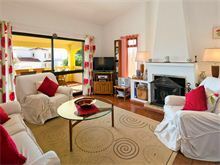 With 2 bedroom properties hard to find this villa represents excellent value and early booking is an absolute must. 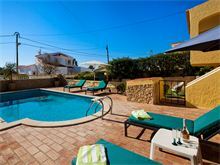 Approximately 3.5kms from the beach and shops in Carvoeiro and 500m to a local convenience store and the local restaurants. Entrance is up steps from the gated pool terrace, lounge/dining room with TV, DVD, CD and doors to a covered terrace overlooking the pool. 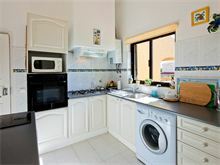 Well equipped kitchen with washing machine and microwave. 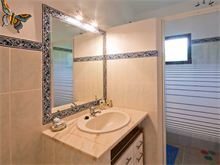 1 double bedroom with air conditioning and 1 twin bedroom with air conditioning, 1 full bathroom and 1 shower room. Maid service 2 times per week. Air conditioning and WiFi are available at additional cost, if required. We had a wonderful holiday thanks to Affinity Villas. The team were friendly, helpful & professional. The villa was superb, spotlessly clean, fresh decor and comfy beds. Everything worked like a dream, and made for a relaxing and enjoyable holiday. We will definitely be booking again for next year. The villa exceeded all our expectations, it was beautiful, very clean comfortable and spacious. There was everything we could possibly need and the kitchen was very well equipped. We took advantage of the lovely pool area with comfortable sunbeds and chairs. The gardener came twice in the week and the maid service was very good. Overall we were very pleased and really enjoyed our visit to Carvoeiro. Thank you so much. Lovely villa, very well equipped. We found Casa Shallo to be a great villa in a great location, spotlessly clean and really well equipped even down to beach umbrellas and cooler bags. The maid, gardener and pool maintenance man were all extremely friendly and hard working. Many thanks for a great service. The Villa was more than expected. Lovely decor, very well equipped, brilliant pool. The location was very good, not far from bars & restaurants. Would definitely go back and also recommend Affinity Villas. Casa Shallo was very comfortable, the pool and seating areas outside were lovely. 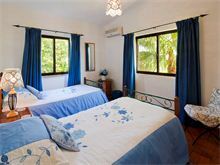 The villa was very clean and homely and I would definitely return. Our first time at this villa. We had a wonderful holiday thanks to Affinity Villas. The house was well equipped and well provided, we would definitely go back and also recommend Affinity Villas. Amazing holiday at Casa Shallo, extremely clean and comfortable, large for 4 people and was equipped with everything you need and more! About a 30-40 minute walk to centre of Carvoerio (7 euros in a taxi) but a convenient supermarket around the corner. 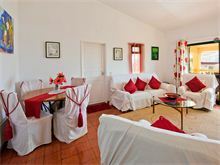 Would definitely recommend this gorgeous and homely villa if you're wanting a relaxing and peaceful stay. Excellent villa very well stocked with everything you need & more. Within walking distance of small shop & a few restaurants & snack bars all very good. A short taxi ride to Carvoeiro for a goodnight out. Pool & BBQ facilities great. 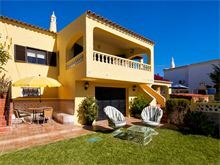 Our second time at this villa we really enjoy the peace and privacy, plenty of home comforts, nice walks we would recommend this villa to anybody looking to put their feet up. Casa Shallo provided a very good 'home' base for my family. The house was well equipped and the house and beach towels provided was of excellent quality! 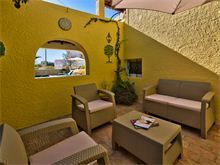 I would definitely recommend the Casa Shallo and Affinity Villas to family and friends. Thank you all. Very good, clean, described thoroughly at time of booking. 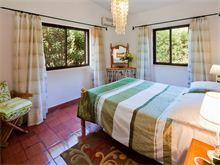 Casa Shallo is perfect for a relaxing & peaceful holiday. The facilities are excellent with lots of options outside for sun or shade. Kitchen very well equipped. Villa superb with plenty of outside space. Location perfect if you want peace and quiet. Local facilities great where you can get everything you need. Casa Shallo was exactly as it was described in the brochure. 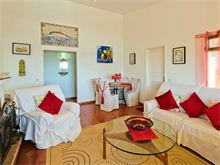 It is a lovely 2 bed, 2 bath villa will all the facilities that you would require. We stayed here with our two daughters, aged 19 and 23 and it was perfect for the four of us. The swimming pool was very well used and the facilities in the villa were perfect. The villa is situated a mile or so from Carveiro so you definitely need a car to get there. It was the perfect place to unwind and take some time out. We would definitely book this villa again. Very impressed with Affinity Villas. Excellent villa in size, facilities, location to local amenities. Near to large towns for sight seeing and beaches for fun days out. Perfect for all age groups and family sizes. 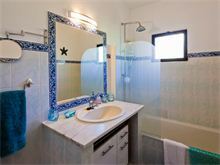 The villa was very well equipped and exceptionally clean. The mid week visit from the maid was an added bonus. The gardens and pool were beautifully maintained and the many outside seating areas gave the option of sun or shade all day long. We would certainly go back again. The villa was beyond all expectations. It was perfect. The owners have a lovely property in a great location. The Villa we booked was FULLY equipped better than 5 star, highly recommended.